Ninety-five percent of businesses do not survive the death of the business’ founder. Apple may not survive the death of Steve Jobs. Yes, the founders and CEOs make a difference, but there is another reason businesses fail after the founder’s death. The little businesses get caught up in the founder’s estate mess, because they are owned wholly, or at least a majority interest, is usually owned by the founder. Obviously, the fate of Apple doesn’t rest with the disposition of Jobs’ estate. Apple is a big publicly traded company. In small companies, like yours, ownership transfer at your death becomes critical. The problem is the estate planning attorneys seldom worry about ownership of the business interests. 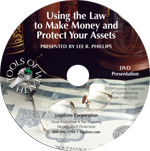 Most estate attorneys only worry about their clients’ real property and other assets. All too often, the business gets overlooked. In addition, the business structuring attorneys almost always just put you down as owner of the company, exposing it to the potential of a probate nightmare. 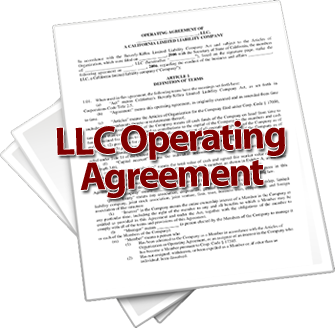 Stock in a corporation and membership interests in an LLC are assets that require your signature to transfer. Any asset that requires your signature to transfer will be caught in the probate net. Probate is the legal process through which our society appoints someone to sign your name after you die. It assures that good title is moved to your heirs. The problem is, probate is a long process and an expensive one. While the probate is going on, the court has to approve any actions involving the estate’s assets. The business suffers. For example, turning Dad’s medical practice over to a new doctor can’t be done without the court’s approval. It will normally take months to get that approval. By that time the patients have had to find medical help elsewhere, and they never come back. You can insure that your business isn’t caught in the probate trap. One way is to have your ownership held in the name of your revocable living trust. You can set up the company directly under the trust when you establish the company, or you can transfer your existing ownership into the trust. The process of integrating estate planning and business planning is a big enough mystery that I am preparing a kit to walk you through the integration process. It will include audio instructions on the steps to take plus editable templates of the necessary paperwork. We have set the retail price at $39.99. In the meantime, check out my YouTube video on the subject above. Please note: If your entity (corporation or LLC) is taxed under Subchapter S of the IRS Code, the revocable living trust you put the ownership in has to be a specially designed trust, otherwise the IRS will come in, reclassify your entity, and tax it under Chapter C of the IRS Code. I am interested in this product when it becomes available. We will make sure to let you know when it is ready. I am interested in the product, don’t know if I need it since we had a Personal trust done and in a schedule A our business is listed and anything pertaining to the business belongs to the trust. But we had our business established years ago so it was never started in a Trust. Is what we had done adequate and if Not since we already have a Corporation what or how can we change things? Just listing the business on schedule A of the trust is not enough. Schedule A is a legal transfer but it is not an affective transfer. In order to make a proper transfer you have to change the stock/membership certificates into the name of the trust and also make sure the state has the trust listed as an owner/member if the state keeps track. If the lawyer who set up the trust for you didn’t know to do this it makes me wonder what else the lawyer didn’t know when they prepared the trust. You can still make the transfer now. I have the family trust listed as the shareholder for the Corporation and my husband as president and I as director. Is this correct? Also, we have several LLC’s that own property and investments. The Corporation is the managing member of the LLC. Do the beneficiaries of the family trust gain control of the Corporation and LLC business assets including bank accounts with this chain of ownership? That is the goal.